This morning I had no idea I would end up in a strait jacket before the day was over. Don't worry! It is just a test for an upcoming shoot. 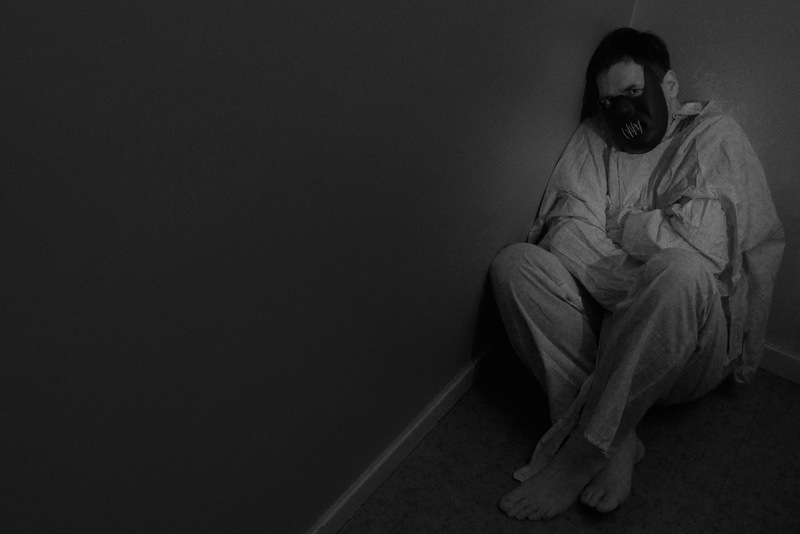 Trying to put on a strait jacket by oneself is very, very difficult. Just as well I did not succeed, or managing the camera would have been well nigh impossible. Lighting the scene was very easy. I aimed one flash into the ceiling to create ambience, put a speed grid on a second flash, and aimed it at a point on the wall where I guessed my head would be. You learn a lot from running tests like this, so it is not as crazy as it looks.